As a medical intuitive, Antonio Silva helps people suffering from a variety of diseases and disorders. Many diseases present physical symptoms, pain, and cognitive and emotional issues. Treatment for many diseases create their own list of side effects that impair a person’s quality of life. If you’re struggling to manage a disease, disorder, or medical condition, a medical intuitive may be able to help. 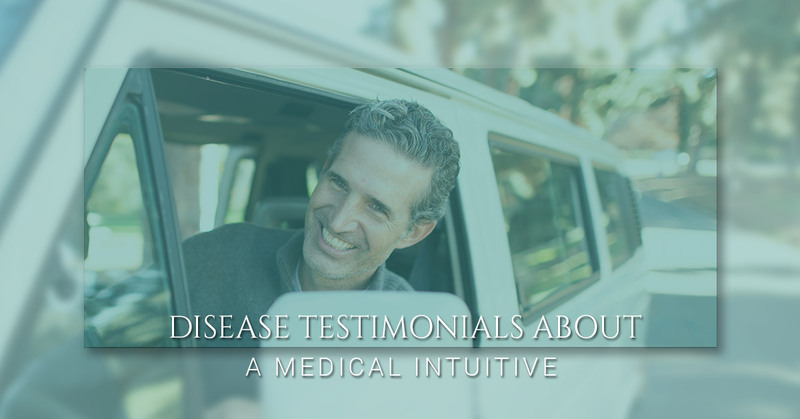 Check out the following testimonials from people who experienced relief from their diseases after sessions with Antonio, and contact him when you’re ready for help as well. There are many types of liver disease; some are hereditary and some occur as a result of lifestyle choices. Liver disease can cause physical symptoms like jaundice (the yellowing of skin and whites of the eyes) and swelling in different areas of the body. More serious symptoms include vomiting, diarrhea, and fatigue. If left untreated, severe liver disease can cause death. This doesn’t have to be the case, though. Read the full testimony about how she convinced her brother to talk to Antonio, and the experience her brother had because of it. If you have a liver disease and you’re looking for help, contact Antonio Silva, a medical intuitive, for potential relief from your symptoms and disease. Cancer is one of the worst diseases a person can be diagnosed with; between the effects that the disease has on the body and the side effects of treatment, it can leave a person feeling exhausted and in need of additional support. A medical intuitive could be that support for anyone wanting to recover. This client shared in her full testimony that she comes from a more traditional field of medicine, but decided to take a chance on Antonio. Even if you come from a medical background or have doubts about the process, you can contact Antonio for a consultation about your disease and decide if further sessions could help you. These are just a couple of testimonies from those who have experienced relief from their symptoms and disease. As a medical intuitive, though, Antonio offers his help to a variety of people struggling with diseases, conditions, and other health issues. Contact Antonio today to schedule a consultation if you want help relieving your medical problems.